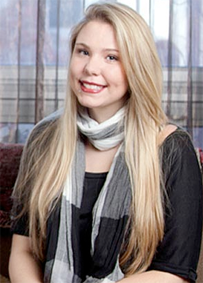 “Teen Mom 2” star Kailyn Lowry is a woman of many surprises these days. She currently works, goes to school, and takes care of her two year old son. However, now she has added one more thing into her busy, hectic schedule – The 60 Day Insanity Challenge. Her boyfriend Javi is also participating in this event and states that Kailyn has been dedicated to working out and she has even started eating healthier. It looks like this year Kailyn will be one of the moms showing off their swim suits. This “Teen Mom 2” star has also been doing some other things as well such as getting a huge back tattoo. The tattoo currently is not finished but you can see that it is huge. Kailyn has even admitted to spending a ton of cash to be able to afford to have this tattoo. Compared to the other teen moms it seems as though Kailyn finally has money to blow – literally. We know some of the other teen moms have gotten tattoos during times when they should have been focusing on things that were more important such as their children. Hopefully, Kailyn actually has things under control. Disney Responsible for Demi Lovato-Ashley Greene Squabble Cover up?